Nancy C. Beach, age 67, of Green Lake, WI, passed away on Monday, April 8, 2019 at Hospice Home of Hope in Fond du Lac after a battle with cancer. Nancy was born on September 1, 1951 in Berlin, Green Lake County, the daughter of John and Beverly (Krafczak) Petruske. She grew up in Princeton. After graduating from Princeton High, she was united in marriage to her high school sweetheart, James Beach, on July 18, 1970 in Green Lake. There they raised their three children. 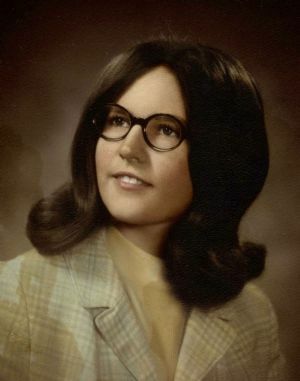 Through the years, Nancy was employed in several businesses. She was a waitress at The Little Corporal and Alfred's in downtown Green Lake, she worked at Valley First National Bank and then was employed at Ripon Ford as an assistant bookkeeper before moving up to head bookkeeper. Her hobbies were cross stitching inspirational readings or beautiful scenes for her home and for Christmas gifts, and reading her favorite authors of romance novels and murder mysteries. Nancy was a very private person. Outside of work, she preferred the peace and solitude of her home to the social life. She enjoyed the abundant wildlife that appeared in the front yard of their rural home. Nancy is survived by two daughters, Stephanie (Richard) Haynes of Beaufort, SC, Julie Beach-Moore (friend Chris Wittchow) of Ripon, WI; one son, Jamie (Star Lietz) Beach of Green Lake, WI; six grandchildren, Christopher Walsh, Nicole Hayes, Brandon Hewitt, Brittany Hewitt, Morgan Dawson and Erik Brockman; two great-grandchildren, Aiden and Matthew; and two sisters, Joan (Ralph) Guckenberger of Hudson, WI and Donna (Philip) Wianecki of Princeton, WI. She was preceded in death by her husband, James; her parents, John and Beverly Petruske; and son-in-law, Randall Hayes. A private memorial service will be held at Butzin-Marchant Funeral Home in Ripon, with Reverend Karen Gygax Rodriguez officiating. Inurnment will take place in Dartford Cemetery, Green Lake, WI at a later date. A memorial is being established and may be directed to Nancy's family at W3219 Princeton Road, Green Lake, WI 54941.